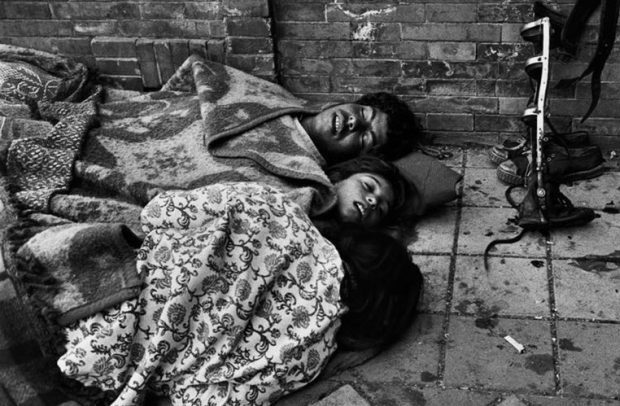 Koudelka from the series "Gypsies"
Prague, 1968, Josef Koudelka, gelatin silver print. The silhouette of a stray dog in the snow; intense, close-up portraits of Prague avant-garde theatre actors during rehearsal; the magnetic gaze of gypsy children playing in the fields; a panorama of a landscape in ruins. Czech-born, Magnum photographer Joseph Koudelka’s original vintage prints and panoramas are fueled by the artist’s never-ending pursuit of freedom and constant hunger for travel. 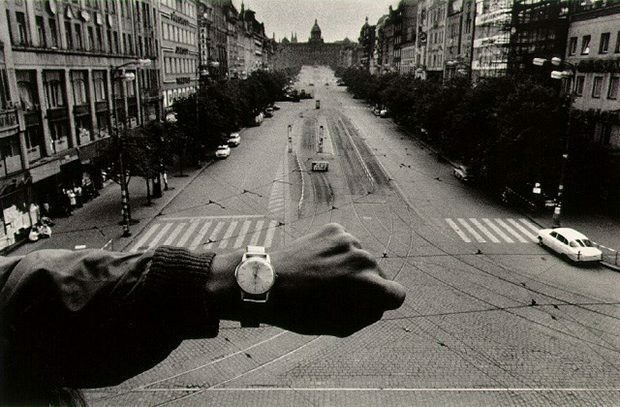 Koudelka has never ceased to experiment with depth of field and focus, harsh black-and-white contrast and post-exposure techniques. Spending his life on the road, he found a temporary home among the Roma, which resulted in his life-defining series, Gypsies, unwrapping rural 1960s Czechoslovakia through folk rituals, customs and traditions, with a focus on the emotional value of people. 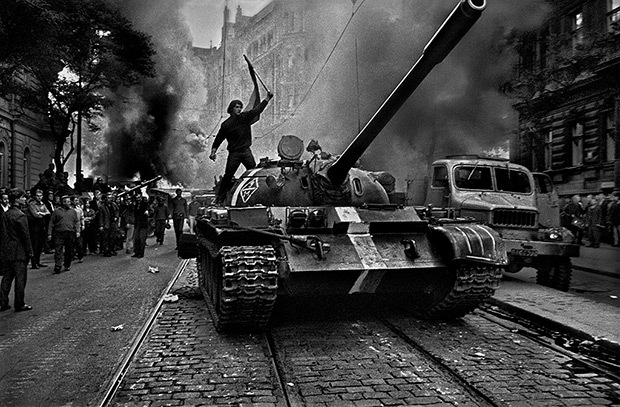 After his 1968 series Invasion, documenting the Soviet-led invasion of Prague, the artist fled his country and sought political asylum, with a camera as his sole companion. With various autobiographical elements, his Exiles series moves across Europe reflecting the darkness of the era and the bitterness in his heart. Koudelka’s compelling, latest retrospective illuminates the relationship between social and political reality, identity and the inner self. Even under the label Nationality Doubtful, the only matter of real importance is remembering where you come from.